It Is our responsibility to always give back. 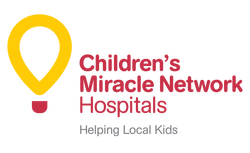 Sheri-Lee is proud to be a full-time sponsor of the Children's Miracle Network Hospitals foundation. This venerable foundation provides much needed funding for the care of 92,000 kids and families across Alberta each year. With each sale or purchase of a home, Sheri-Lee donates a percentage of her commission to help keep the foundation healthy. Last year alone, RE/MAX raised over $4 million dollars. This money was used for family centred programs, specialized life-saving equipment, advanced paediatric research and education at the Alberta Children's Hospital. Click the yellow balloon to read more about CMN. Each year RE/MAX also holds several events in Calgary to raise funds. If you would like to know more about the events or how to get involved, scroll to the bottom and leave us a message, we appreciate all the help we can get. Sheri-Lee along with many other RE/MAX Affiliates proudly supported the Susan G. Komen Foundation first founded in 2002. Through the Home for the Cure program and past sponsorship of the Komen Race for the Cure Series, Sheri-Lee and RE/MAX have contributed more than $7 Million to the fight to end breast cancer. Click the pink ribbon to read more about the foundation and how you can get involved too! The SHARP Foundation is committed to providing a continuum of care including housing, healthcare, and support to those individuals infected or affected by HIV/AIDS. In order to create healthy environments and promote health for persons living with HIV/AIDS, the SHARP Foundation develops services and programs for individuals requiring palliative, long term, intermediate, and independent living support. Residents participate in the assessment of their care plans, education, and personal development needs as an integral part of the programs and services provided by the SHARP Foundation. The SHARP Foundation has a case management team that works together to address our client’s needs. Along with the other staff members, our volunteers and our partners. To learn more about case management and the care we provide, see the Case Management section of our website, or to see information on SHARP cost of care and target client population, view our background information page . To inquire about programs or to make a referral to the SHARP Foundation contact Teresa Burge (403) 457.7476. To make a referral, please complete the referral form and fax it to (403) 451-1727. Every year the SHARP foundation holds all sorts of fantastic events to raise funds for their cause. Check out the events to see where you can get involved!! SHARP Foundation Children's Miracle Network Susan G. Komen Foundation Let me know about upcoming events. Let us know if you would like to volunteer at special events such as Kid's Day or any others.